"If there's too many white people, I get nervous." That's an excellent quote from Daniel Kaluuya in Get Out, one of the best horror films ever made. Kaluuya plays Chris Washington, an African-American photographer. His white girlfriend, Rose Armitage (played by Allison Williams), is bringing him on a trip to meet her parents, Dean (played by Bradley Whitford) & Missy (played by Catherine Keener) Armitage at their estate in the countryside. Chris is nervous about this because Rose hasn't told her parents that Chris is black. She reassures him that they're not racist by saying that they would've voted for Obama for a third term. After encountering a racist police officer, they arrive at the estate, where Dean tries to act African-American, & Missy offers to help Chris with his smoking habit through hypnosis. While there, Chris encounters the African-American maid, Georgina (played by Betty Gabriel) & the African-American groundskeeper, Walter (played by Marcus Henderson), who act extremely odd. While they are up there, the Armitages hold their annual get-together of friends, who are all white & act very forward towards Chris. But an encounter with a black person at the party, Logan (played by Lakeith Stanfield), along with a warning from Chris's friend, TSA Officer Rod Williams (played by LilRel Howery) that many African-Americans have gone missing in the area near the Armitages's house, turns Chris's time at the Armitages from off-putting to downright scary. The cast is amazing. 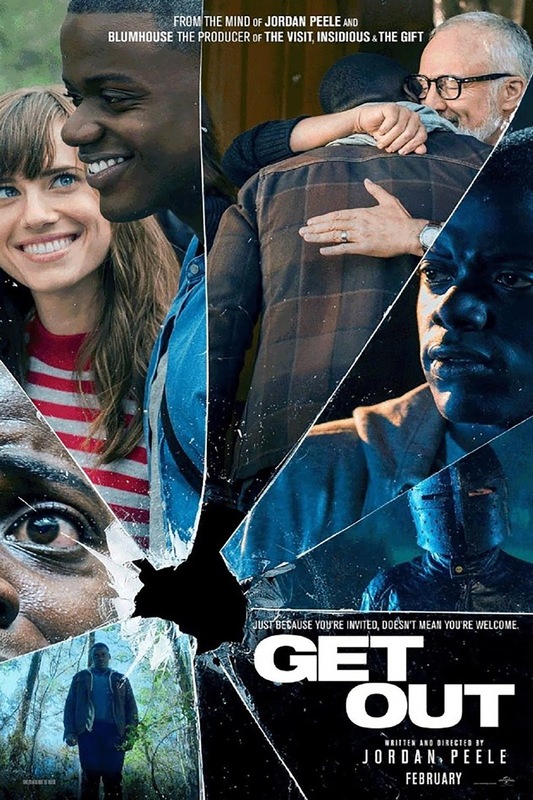 Jordan Peele's direction is excellent. Jordan Peele's screenplay is brilliant. The cinematography by Toby Oliver is phenomenal. The editing by Gregory Plotkin is amazing. The production design by Rusty Smith is excellent. The sound design is impeccable. And Michael Abels' score is fantastic. This is an excellent horror comedy with some of the best social commentary ever, & I wouldn't be surprised if this ends up on my list of the 10 best films of 2017.